Good post. I also prefer Moondance to Astral Weeks. It’s more soul influenced, like Rubber Soul, which I happen to prefer to Revolver. Well you’re clearly both bonkers! Preferring Rubber Soul to Revolver’s a wee bit bonkers. Preferring Moondance to Astral Weeks on the other hand… Are you going to put the case for AW, then? Well there are all sorts of issues here…. Most of us become more conservative as we get older. A few weeks ago you wrote about the Throwing Muses. It was an interesting piece, as ever. But it didn’t particularly inspire me to give their music another listen. In fact I’ve just looked the piece up: ‘frantic’, ‘unsettling’, ‘fast and unrelenting’. It all sounds like hard work, frankly. I first heard Astral Weeks when I 16 or 17. I didn’t realise how strange a record it was at the time. I’d listened a lot to Wild Wood a few years previously, and it seemed of a similar vein in plenty of ways. It was only much more recently that I realised how harsh some of the singing is; how unusual some of the songs were; how odd the tracklisting is too. Things hit you harder at that age, you know. And I think we’re all more open to being hit hard too. Diving into people’s thoughts. People’s pain. I agree with you that Moondance is a rarity in being an extremely good record that was expressly out to win over a bigger audience by ‘sugarcoating’ the artist’s thang. I don’t agree though that ‘picking one song as a highlight is close to impossible’. In fact, I think its damned easy! Could anyone make a sensible case for anything other than Into The Mystic? I doubt it. Moondance is full of quite-to-very good songs. But few genuinely capital ‘G’ great ones. Probably only one, in fact (although I can imagine a plausible case being made for the title track). Astral Weeks, despite being a less song-y album (and having fewer songs on it), clearly has more: Sweet Thing and Madame George certainly. TWYLD almost certainly. I’d argue very strongly for Beside You, which has always been a personal favourite of mine. I could imagine people making cases for other tracks too (the title track, Ballerina…). In fact I know a very-well listened individual who counts Cyprus Avenue (for me the weakest cut) amongst their top 10 songs of all time. To me, Moondance is merely a very good record. 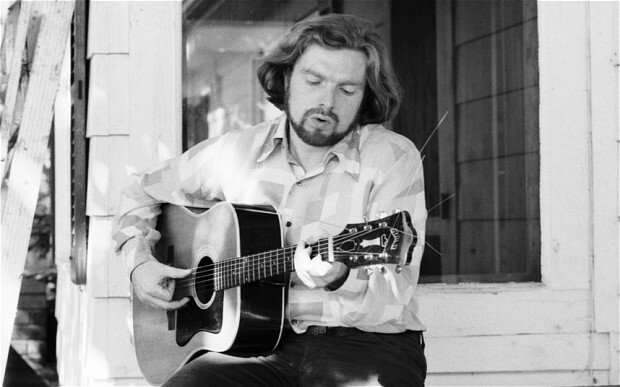 Astral Weeks is a work of genius: displaying, as it does, ‘exceptional ability, creativity, and originality, typically to a degree that is associated with the achievement of an unprecedented leap of insight’ (borrowed from Wikipedia). They’re worlds apart. I think plenty people would argue for Caravan as the record’s key moment and/best song. Or, as you mention, the title track. More thoughts soon (possibly in person). I think that it’s easy to hear Moondance as the lesser work because it’s a lighter work. But I don’t think it’s at all shallower than AW. It’s an album all about spiritual transcendence through love, music and love of nature, and I hear as much creativity and originality and insight in it as I do in AW. It plays by different rules to AW (because its songs follow conventional verse/chorus structures and it concerns itself with hooks and concision) but I think it’s every bit as good at what it does as AW is at what it does. And as for Into the Mystic being the only ‘sensible’ pick for highlight, I can easily imagine someone arguing for the title track, Caravan, And it Stoned Me or (as you mentioned yesterday) Brand New Day (you were right, btw – it’s longer than Caravan by a few seconds: both are over 5 mins though!). Or Glad Tidings or These Dreams of You, frankly. Sure they’re light as air, but no music as joyful as those two songs can possibly be dismissed lightly, since joy is probably the hardest emotion to capture in music without seeming cheesy or forced.